The boys and I made some Easter Gardens last week as a little rainy day activity and they loved it. 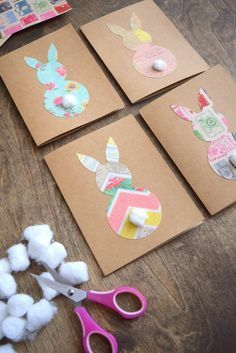 When I say easter gardens, what I mean is actually a load of compost and some cress seeds, but it’s an activity none the less AND everything we used was from our local Poundland, so very inexpensive. This is something the whole family can enjoy producing…and getting as creative as you can. The great thing about Cress is that it sprouts pretty rapidly, so within a couple of days the children will notice growth. Unlike planting flower seeds/ bulbs which take much longer! The boys have been in charge of watering them, so as you will see, their chicks look somewhat ragged-out and dishevelled (poor guys!). To start, you will need to line your basket with one of the hanging basket liners, so as to contain the soil. I have a staple gun, so I actually cheated and stapled mine around the inside of the baskets, however if you have some super glue, or PVA this would work equally just as well. Once they are lined, fill with some compost. As you can see, we bought ours from Poundland so it comes as a solid block. The boys soaked it in the bag which it comes in and using their hands, gently ‘fluffed’ it up before spooning it into their baskets. Once this is gently patted down, sprinkle pinch loads of seeds on the top. Stanley was quite generous with his ‘pinches’! Then using the tips of your fingers, ever so gently pat them into the soil. Decorate your garden how you wish. 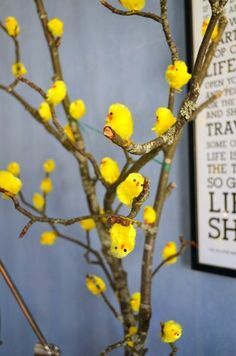 My boys LOVE those little yellow chicks (as do I! ), but I would imagine little rabbits, maybe some pebbles around the edges, butterflies on the basket etc would look wonderful. 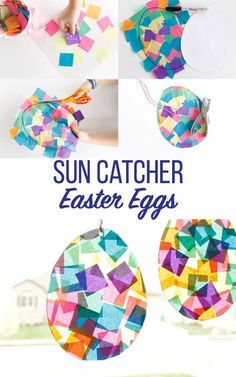 All of the supermarkets and shops have small Easter craft bits out right now, so you could go to town! Personalise your garden with little signs, so you know who’s is who’s. The boys used a felt tip (maybe use a biro or permanent marker instead…..you’ll see why in a minute!) and stick mini pieces of card onto a couple of craft lolly sticks we had. It doesn’t have to be fancy, but children love to take ownership of something and it’s good for them to recognise their efforts. Place your baskets on a windowsill so they get plenty of natural light, and get the children to spray them with water once a day. It’s because of the water spray that you can no longer read their garden signs!…however their cress has grown and they’re still looking FAB. It’s the chicks I feel sorry for hahahahaha!